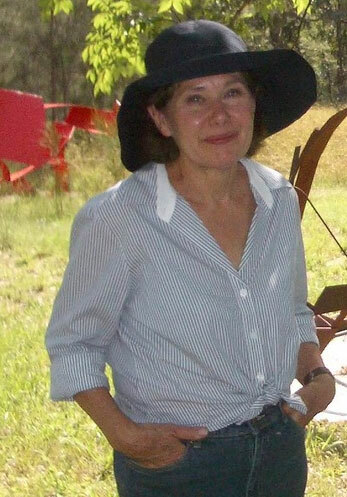 Jan King was born in Cunnamulla, Queensland. She studied widely both in Australia and overseas; from Academia di Belle Arti in Perugia, to the National Art School, to the New York Studio School. King is known for her sculptures made from waxed and painted steel, which she exploits to its full potential to create fluid and lyrical works that contradict our expectations of this material. King won the Woollahra Sculpture Prize in 2002, and has been awarded travel grants from Australia Council and Art Omi. Her work is included in the collections of Art Bank, Casula Powerhouse, University of Technology, Sydney and Macquarie Bank, amongst others.